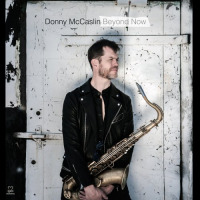 From his early forays with Steps Ahead and Ken Schaphorst's Big Band to Maria Schneider's Orchestra and his recent membership in Dave Douglas' Quintet, saxophonist/composer Donny McCaslin is finally beginning to receive the critical accolades he deserves. His second album for Sunnyside and sixth as a leader, In Pursuit, follows a conceptual thread begun on Soar (Sunnyside, 2006). Seamlessly weaving advanced jazz harmony, lyrical melodies and Latin American polyrhythms into an organic whole, McCaslin proves his mettle as a writer of intricate but accessible tunes as well as a world-class improviser. 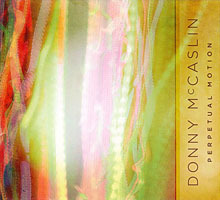 McCaslin brings back the core quintet from the previous session's nonet. Drummer Antonio Sanchez and percussionist Pernell Saturnino rejoin McCaslin with longstanding bassist Scott Colley and ubiquitous guitarist Ben Monder. Produced by alto saxophonist David Binney, the album augments classic jazz sensibilities with subtle modern recording techniques. 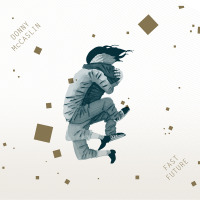 Binney's solid production and occasional alto contributions, combined with McCaslin's sure-footed writing and invigorating soloing, make for a richly rewarding listening experience. 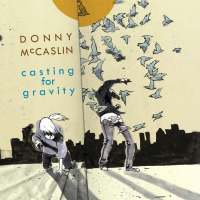 An acknowledged fan of popular artists like Bjork, Radiohead, Soundgarden and Squarepusher, McCaslin's incorporation of pop music blossoms on the angular title track, featuring Monder and McCaslin at their most extreme, embroiled in a hornet's nest of escalating frenzy. Monder's chameleonic virtuosity adds an electrifying intensity to these formidable compositions. He makes a perfect sparring partner for the leader; his tone alternates between delicate, gauzy serenity and full-bodied electric rasp, gnashing with swirls of feedback and blistering pyrotechnics. 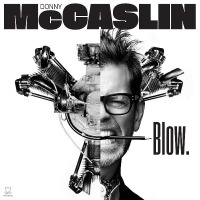 A passionate soloist, McCaslin's effusive dexterity unveils a robust tone that veers from supple nuance to cathartic release. A superb technician, he is unafraid to venture into free territory, effortlessly blurring the line between inside and outside playing. McCaslin's assured songwriting materializes on the sumptuous "Madonna." Unhurried, McCaslin demonstrates his loquacious phrasing with spirals of vibrant melodiousness as the tune unfurls gradually, epic in sweep. The bittersweet melancholy of "Sea of Expectancy" flows gracefully, held afloat by an optimistic undercurrent. Ascending a somber melodic progression with hope and resolve, the quintet brings a sense of closure to a piece rippling with uncertainty. The majority of the album blends Afro-Cuban, Brazilian and Peruvian rhythms with advanced harmonic progressions and the straightforward tunefulness of pop music. The multi-ethnic mosaic of "A Brief Tale" is representative; percolating polyrhythms, shimmering electric guitar and plangent tenor sax all culminate in a buoyant melody. Incorporating vibrant Latin rhythms into sophisticated arrangements that unveil a rich vein of inspired lyricism, In Pursuit skillfully bridges the gap between the worlds of popular music and high-minded jazz improvisation. A Brief Tale; Descarga; Madonna; Sea of Expectancy; In Pursuit; Village Natural; Send Me a Postcard; Fast Brazil; Festival in 3 Parts. 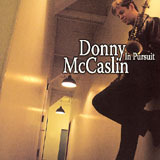 Personnel: Donny McCaslin: tenor saxophone, flute, alto flute; David Binney: alto saxophone; Ben Monder: guitars; Scott Colley: bass; Antonio Sanchez: drums; Pernell Saturnino: percussion.